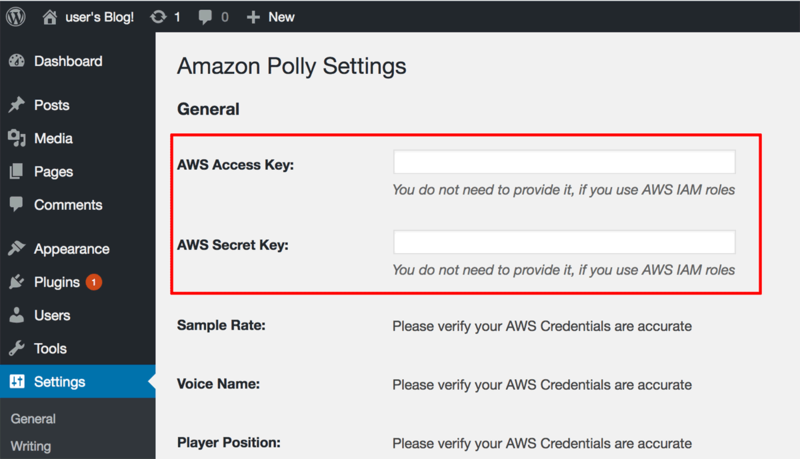 NOTE: The Amazon Polly WordPress plugin requires an Amazon Web Services (AWS) account. If you don’t have an AWS account, you can register for one on the AWS website. 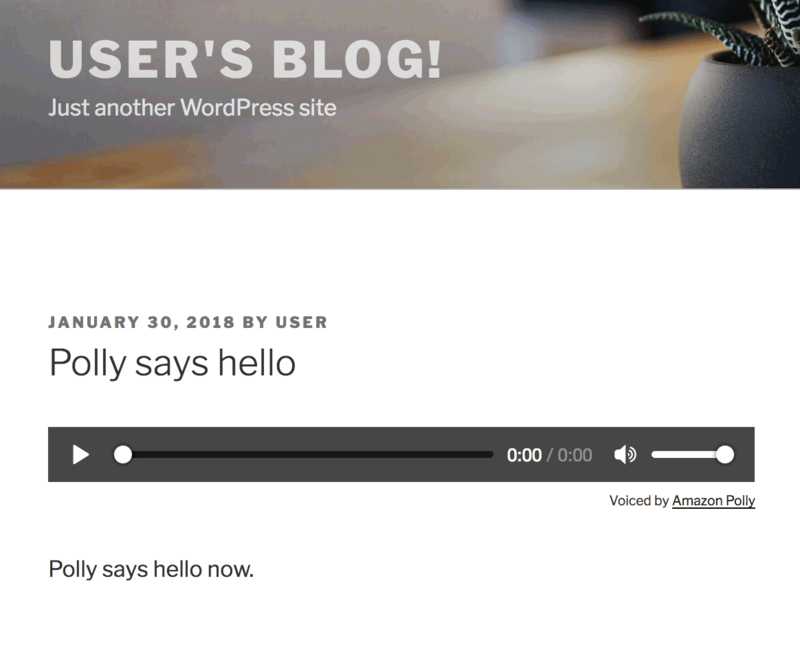 Amazon Polly is a text-to-speech service from Amazon Web Services. It supports multiple languages and voices, and its audio stream can be played back directly in an application or stored in a standard file format. In the AWS services menu, scroll down until you see the “Security, Identity & Compliance” section. Select the IAM service. 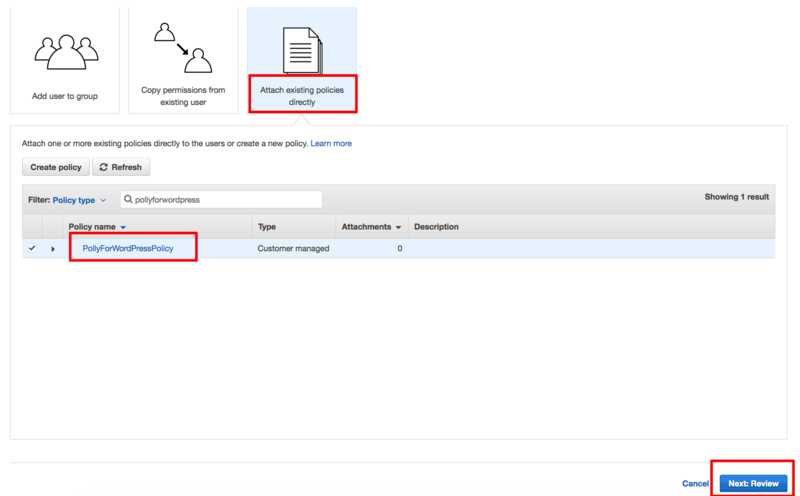 Select the “Policies” menu item and click the “Create Policy” button. Click “Review Policy” to proceed. Set the policy name to “PollyForWordPressPolicy” and click “Create Policy” to save the new policy. Select the “Users” section in the left navigation bar and click the “Add user” button. On the “Details” page, enter a user name for use with the plugin. 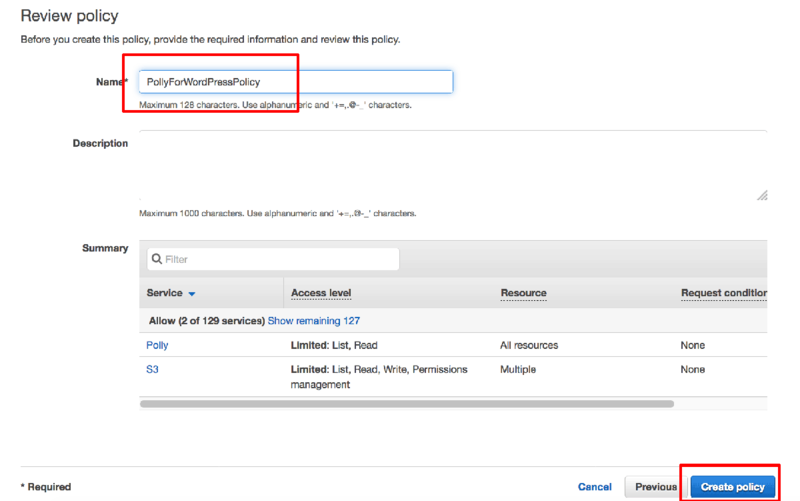 Ensure that the “Programmatic access” checkbox in the “Select AWS access type” section is selected. Click the “Next: Permissions” button to proceed. 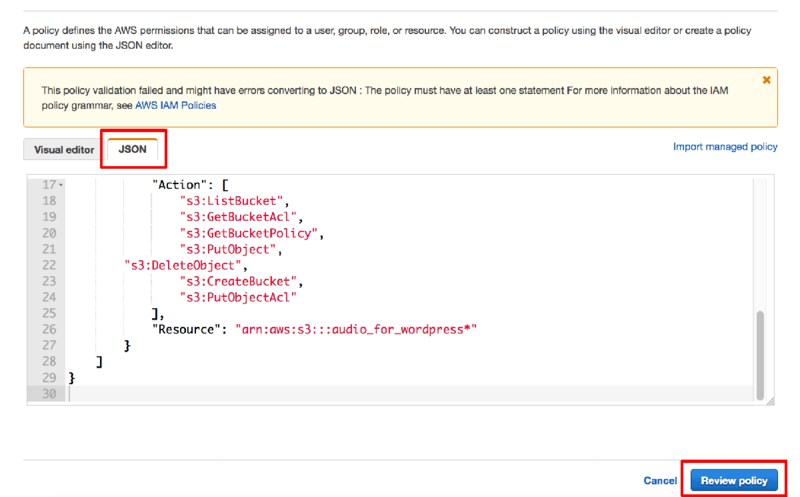 On the “Permissions” page, select the option to “Attach existing policies directly”. From the list of policies, find the new “PollyForWordPressPolicy” policy. Select it and click the “Next: Review” button. Log out of the AWS Console. Select the “Plugins -> Installed Plugins” menu item. 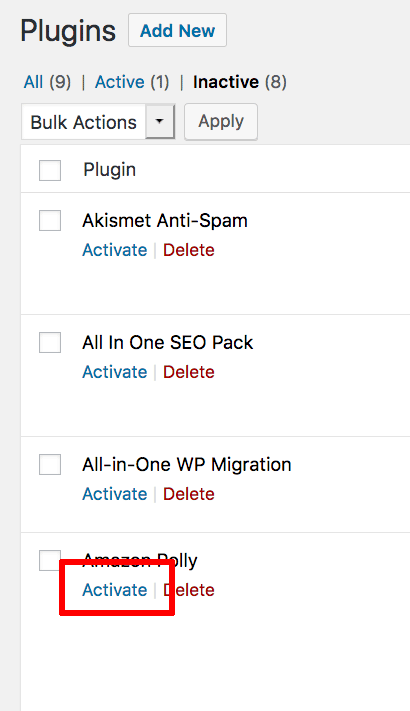 Find the “Amazon Polly” plugin and click the “Activate” link to activate it. Select the “Settings -> Amazon Polly” menu item. Enter the AWS Access Key and Secret Key obtained earlier and click “Save Changes”.